Tuesday evening I went along to Writing on the Wall’s heritage project, From Great War to Race Riots. I didn’t know what to expect, it was my first time. 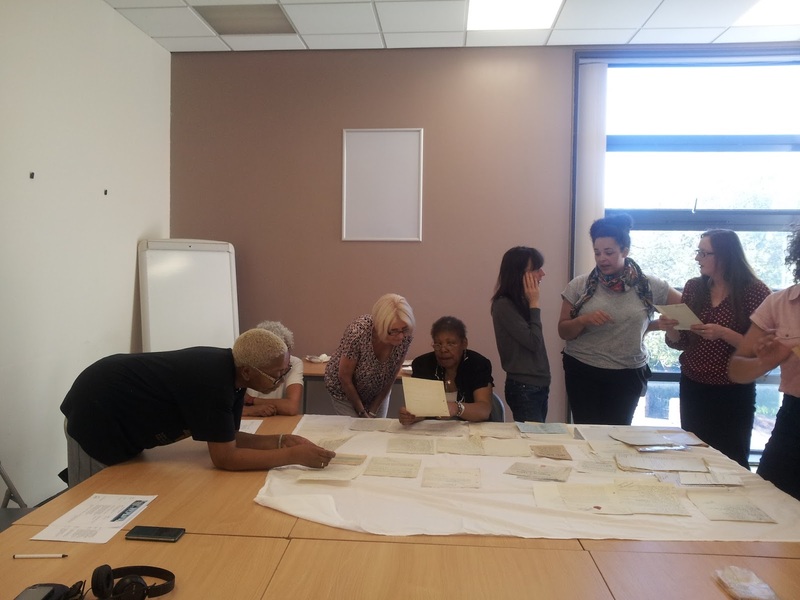 The group, made up of community members and led by Tutors Madeline Heneghan and Emy Onuora, attended a weekly two-hour session, and had already started exploring the archives of letters and telegrams that date back to 1919. 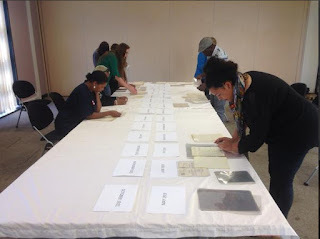 The project consists of an array of letters that reveals the horrific plight of black soldiers and seafarers, who had fought for Britain in the Great War, and who had now been told to leave these shores and my city. As the group worked tirelessly putting the documents into date order, it was evident that they had everything under control. Although I was made to feel welcome, I must admit, I felt like a spare part. It was suggested that I read through the documents, in order to familiarise myself with the project. I have to say, that after the first couple of letters I was hooked. I had been transported back in time. A time seeming so surreal, you could hardly imagine it. The group had stopped for a well-earned tea break and I eased in as a new comrade, once I realized that each and every one of us had at least one thing in common. We had bonded over our shared passion as we engaged in a time gone before us. On some level, and in our own way, I wouldn’t be wrong in saying, that each of us had made a connection sharing this specific time in British history, and that it had led us on an extraordinary journey. What I have come to understand is that, like the rest of the group, I had grown fond of the men and their families that leapt out from the pages heading straight towards my heart and have remained there since. These archives are such an important insight into our cities heritage. It’s only fitting that they should be handled with care in every sense of the word. I cannot wait to return next week.